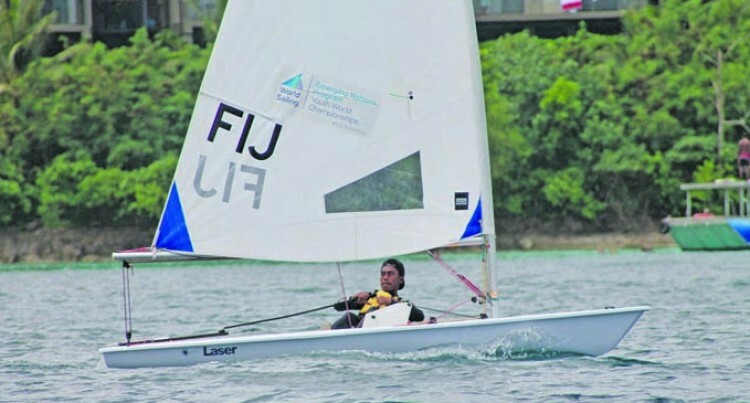 Over 40 sailors from 12 coun­tries have arrived at the Sofitel Resort and Spa ahead of the Oceania Laser Class Masters Cham­pionship regatta which starts tomor­row and ends of Friday at Denarau. Ahead of the regatta, 10 sailors took part in a three- day clinic conducted 13-time World Laser Masters Cham­pion and one of the pre-eminent laser coaches in the world, Brett Beyer. Fiji Yachting Association devel­opment officer Neville Koop said: “Bringing Brett to Fiji is a fantastic achievement for us. Sailors travel far and wide to be able to benefit from his many years of wisdom. Koop said they are hoping to bring him back to Fiji in the future for more clinics aimed specifically at Oceania sailors. Competitors and officials alike have been waxing lyrical about the sailing conditions, which are far from those many are used to from Europe, north America and also Australia and New Zealand. “This is just fantastic- warm waters, steady breezes and sandy beaches- it’s the perfect venue,” said John d’Helein” of Melbourne, a veteran La­ser sailor who has been participating for 30 years. Oceania Laser Class Association president Ken Hurling, was also ef­fusive in his praise for the venue, hailing the fantastic facilities at the Sofitel, the pristine waters, and the wonderful Fijian hospitality. “This is a first class international sailing venue. It’s definitely on our list of places to come back to. “Being blessed with ideal winds and weather and also centrally located for access from around Oceania and the Asia/ Pacific and Northern and Southern regions of the Americas”. With the clinic now concluded, sail­ors will enjoy a rest day before the re­gatta starts tomorrow.